Barton has built a close working relationship with customers in the energy and telecommunications industry. Over the years, the expertise of our technical department has allowed us to provide tailor made solutions to protect workers who need to operate safely and effectively at height. 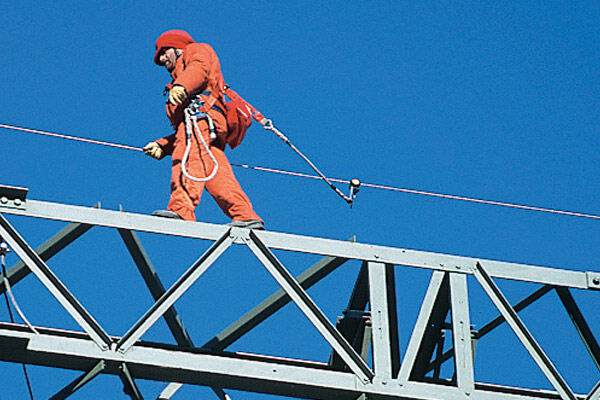 We have designed specific fall protection systems for a variety of towers, pylons, masts and antennas, either at construction stage or in the case of a retrofit. Our project management team in consultation with the clients prepares a detailed system specification using our bespoke computer package. It provides an entire breakdown of the parts, specific technical datasheets and installation drawings. Flexibility: the systems follow closely the contours of the structure and incorporate horizontal and inclined sections. 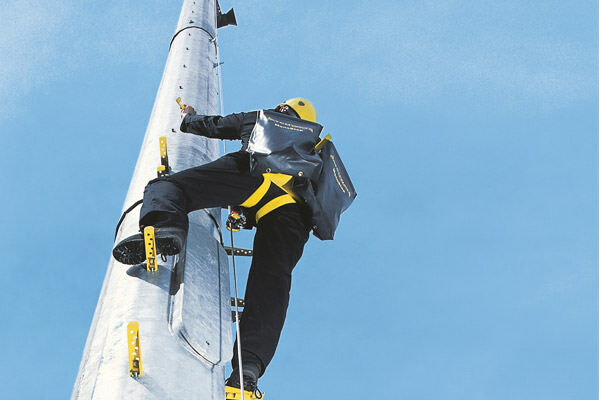 An extensive range of components allows rapid and easy installation on any type of masts, ladders, towers, pylons and antennas. Reliability: Due to the highest quality used in the componentry and bracketry, the systems withstand harsh climatic and environmental conditions. Safety: In the event of a fall on the system, a fluorescent red indicator protrudes from the energy absorber. Inspection procedures are simplified as the red shaft can be easily seen from ground level or during a helicopter or drone inspection. The TowerLatch® and LadderLtach® come with a webbing strop to make rescue easy. They allow for continuous hand free protection due to the fact that the devices rotate freely through intermediate cable guides.. Compliance: Our qualified service engineers conduct the required annual testing of the systems. Their checks include deployment of the shock absorbers, swage tests and torque checks. Training: Our Technical Manager can carry out the training of the end user at their own site or at our offices.